As the Republic Day of India is approaching, more and more e-commerce sites and smartphone manufacturers are trying to leverage this opportunity to increase their sales by luring the customers to buy their products by offering discounts and other such offers. Now, on account of Republic Day, OnePlus India is offering its smartphones and accessories at a discounted price without requiring any invite. OnePlus has made all its devices invite-free for purchase as a part of its Republic Day Sale. “Celebrate Republic Day with an invite-free sale on OnePlus devices & accessories on Amazon” tweeted OnePlus India on its official Twitter handle. 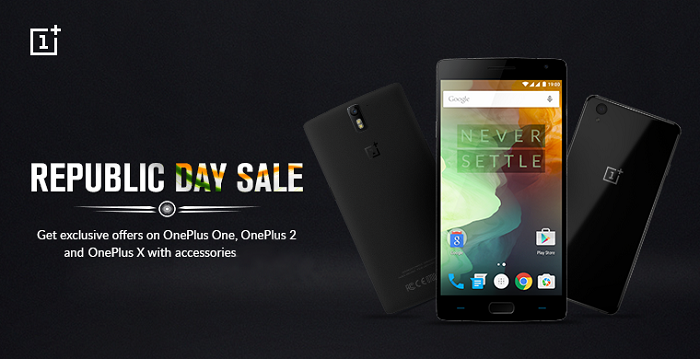 OnePlus India’s Republic Day Sale starts today and will end on January 23. OnePlus is offering a flat discount of Rs.2000 on OnePlus One, OnePlus 2 and OnePlus X (Onyx, Champagne) on Amazon India. There isn’t any discount available on OnePlus X Ceramic edition but it can be bought directly without requiring any invite. If one decides to buy the OnePlus X Ceramic edition for the above mentioned price, it would be wise to buy the OnePlus 2 instead which is offered at the same price right now. You will get one additional GB of RAM i.e., 4GB along with Snapdragon 810 processor as opposed to OnePlus X’s 3GB RAM and Snapdragon 801 processor. Also, the OnePlus X Onyx and Champagne editions are both a steal at this price. Do take a look at our OnePlus X review if you are planning to buy one. Although OnePlus did mention about discounts on their accessories as well, we couldn’t find any. All these OnePlus smartphones mentioned above can be bought invite-free from Amazon India at a discounted price during January 21 – 23. 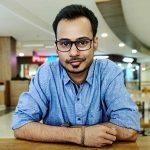 So, are you buying any OnePlus device?